After one extra day in Moscow, we were on our way to Garmisch-Partenkirchen, Germany. Though we flew into Munich, we didn't get to explore the city because it was rainy and our flight was very early, so we just wanted to reach our final destination. We stayed in a friend's apartment, which we also visited 8 years ago! Though it was fairly cold and rainy throughout our stay, we enjoyed the refreshing air in comparison to the 85+ weather everywhere else. 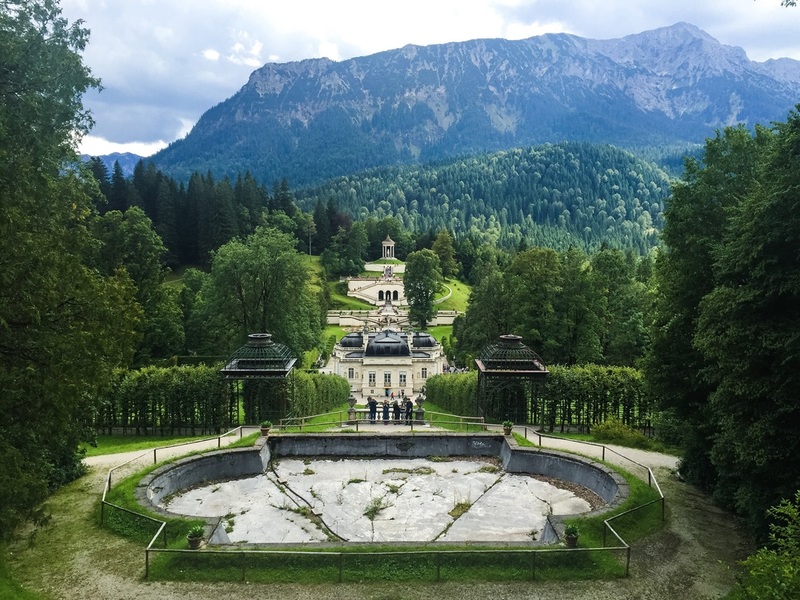 In just four short days we hiked around our favorite lake in the mountains (Eibsee), explored the park and castle at Linderhof, ate too many kartoffelkloesse (potato dumplings), and climbed up a nearby mountain to an outdoor sauna. The trip was a great combination of exercise and relaxation. However, we found ourselves not feeling as welcome as the previous 3 countries due to the language barrier.